SOPR hoist jibs come in two types: wall, or tower. Your choice will depend on the heaviest loads you plan to use, and / or the available floor space. Our wall hoist jibs are highly maneuverable and don't interfere with floor movements. 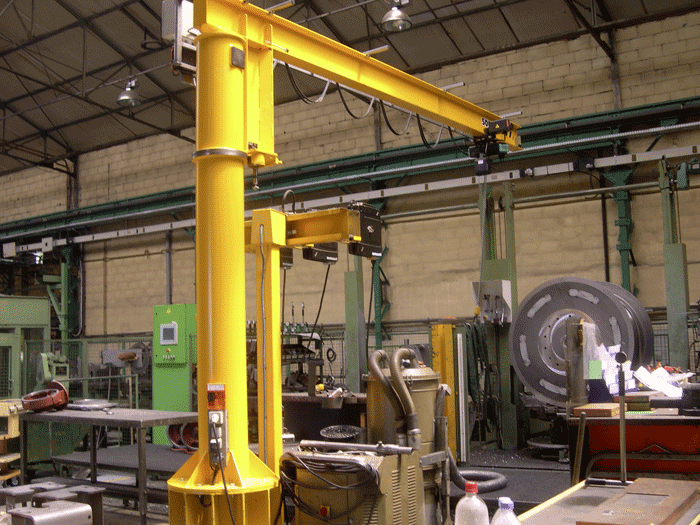 Tower-mounted hoist jibs allow loads of up to 10 tonnes while enabling full 360°rotation. 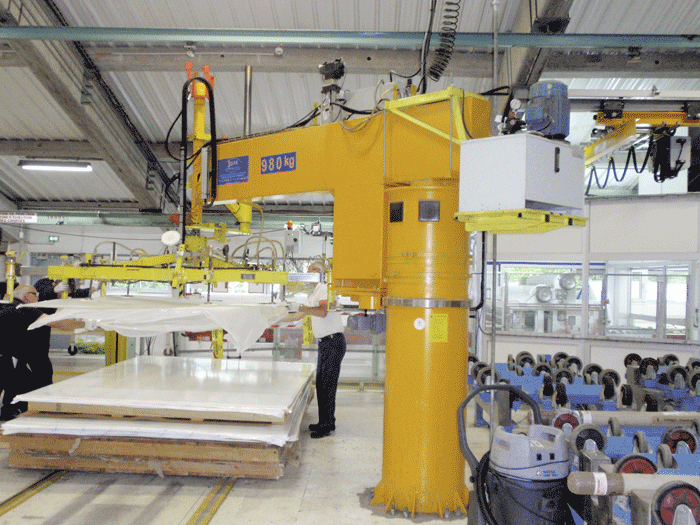 For optimal performance the SOPR models require cable or chain electric hoists. 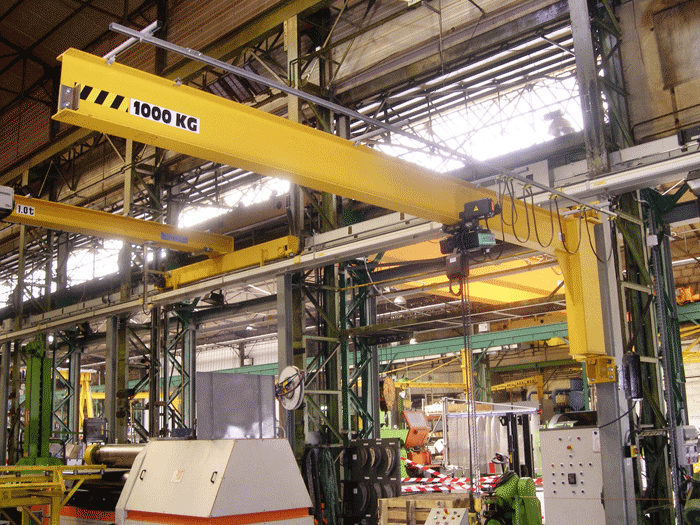 Wall and tower hoist jibs are mainly used for handling small loads indoors or outdoors.